Verizon steps up its game in the battle for family wireless plans and to get customers to use (and pay) for more data. This story has been updated from Apr. 3, 2014 to reflect results of a survey and analyst comments. 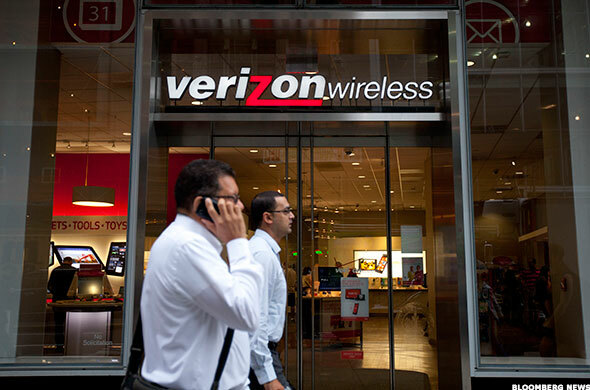 NEW YORK (TheStreet) -- Verizon (VZ - Get Report) stepped up its game in the battle for family wireless plans and to get customers to use (and pay) for more data. Verizon Wireless has updated its "More Everything" plan, its multi-line plan options, for customers who choose Verizon Edge and at least 10GB of data, the company confirmed on Thursday. It cut the cost of smartphone line access to $15 from $40 per month. For plans that use 250 MB to 8 GB of data, customers could receive up to $10 off monthly line access using Verizon Edge. A family with four smartphones using Edge and 10GB worth of data, for instance, would now pay $160 per month for the plan, effectively bringing it more in line with AT&T (T - Get Report) family offerings. Verizon has also added "bonus data" for customers who add a tablet to their plan. Adding an eligible tablet for $10 a month, for instance, means customers can get an additional 1GB of data. Verizon's Edge agreement is its version of offering customers smartphone upgrades without being stuck in traditional two-year contracts. Verizon boasts that customers can receive smartphone upgrades "faster than with any other carrier" through the Edge program, which splits the full retail price of the phone into 24 monthly payments and is added to customers' monthly bills. However, after at least 30 days and with at least 50% of the phone paid off, customers are eligible for an upgrade. Competition is tough among the big four networks -- Verizon, AT&T, Sprint (S - Get Report) and T-Mobile (TMUS - Get Report) -- to grab and keep customers from always seeking the next best deal on data and phone options. Like Verizon, AT&T has been pushing its Next offering, in which customers are not beholden to an annual contract but instead pay for their smartphone device through 20 or 26 monthly installments. Customers are eligible to receive a new device every 12 or 18 months, depending on which installment plan they choose. There is no down payment or fees related to activation, upgrades or financing, according to AT&T. Verizon Wireless and T-Mobile are the two cellular phone carriers delivering the most "bang for the buck," according to the YouGov BrandIndex. The study showed Verizon's latest "More Everything" service plans have been offering reduced rates since mid-February but can't compete with T-Mobile's unlimited data "Uncarrier" plans. The overall result is a virtual tie in the latest BrandIndex "Value" score. "This cut could drive Edge adoption above our 20% of smartphone sales estimate, creating upside to our expectations for $700M in incremental EBITDA and $0.11 in incremental EPS from the [Equipment Installment Plan] in '14," UBS analyst John Hodulik writes in a research note. "The new pricing will drive higher uptake of the 10GB plan given the discount it provides a family versus smaller data plans, helping to offset the impact of the price decrease. We believe VZ made this move after seeing some pressure from AT&T's price cut in 1Q. T-Mo continues to offer the lowest price point at $140/mo for a family plan with similar terms while Sprint remains well above the others at $200/mo." That said, "Sprint will likely change its pricing around mid-year as it readies its network and seeks to grow subs in 2H14," the note says.